A lot of people have applied and even paid for the new pre-paid meters and are yet to even receive it. However, there was even more confusion some months back about whether Meters are to be paid for or not. 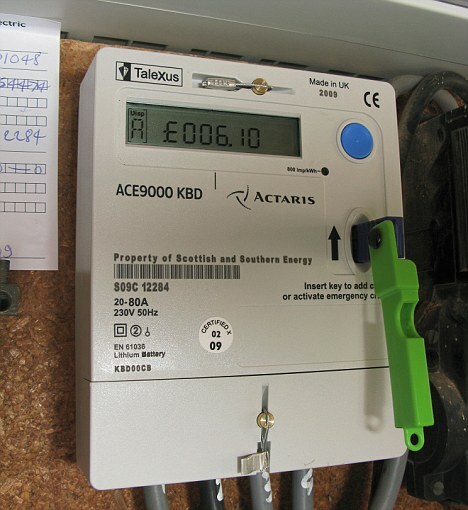 Well, some months back the Nigerian Electricity Regulatory Commission (NERC) Chairman, Sam Amadi confirmed that Nigerian will now pay for the meters reversing the government policy of free meters. Whilst most people don’t like this, I feel it is probably better considering that “Nepa” officials already charge N40k bribe to deliver the meters. Besides the NERC confirms the this is more like a meter financing facility for providers rather than an outright purchase. And in typical Nigerian fashion it is aptly given an acronym CAPMI (Credit advance payment for meter installation). So, how does it work? In a nutshell you advance the Disco money and then they give you the meters. They now refund you (at 12% interest rate) by deducting the Fixed Charge element (minus installation fee) from your electricity bills. The Fixed charge element includes the cost of acquiring meters and would have been effective had there be no need for CAPMI. I think this is a pretty straight forward guideline. Download the the full guidelines here. They have also employed about 80 firms as Meter Vendor Installers who I believe the meters will be bought from.